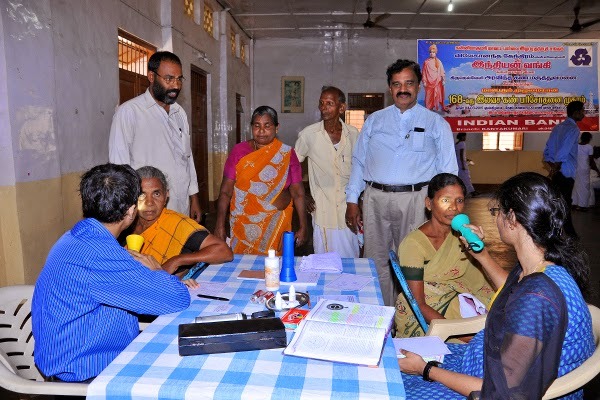 Vivekananda Kendra Kanyakumari organised 168th Free Eye Camp at Kanyakumari on 4th March 2015. The camp was sponsored by Indian Bank, Kanyakumari Branch. Shri S. Perumal Pillai, Branch Manager, Indian Bank lighted the traditional lamp and inaugurated the camp. Dr. Peri Soumya, Dr. S Chakravarty and 13 member medical team from Aravind Eye Hospital, Tirunelveli, conducted the camp.